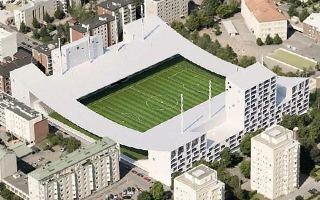 One would expect stadiums to grow in order to accommodate the “Galacticos”, but Malmö FF were forced to do otherwise. 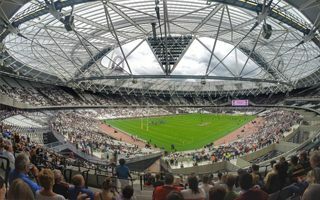 3,000 capacity is lost and the field had to be narrowed, too. Mayor of Florence released a promising announcement for Fiorentina supporters. 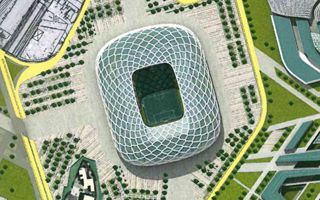 Current Serie A leaders may begin work on their new stadium next year. 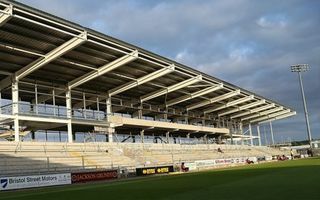 28.09.2015 England: East Stand revamp could sink Northampton Town? It was difficult a few weeks ago, now it’s almost dramatic. Northampton Town FC have 3 weeks to repay over £10 million to the local council. 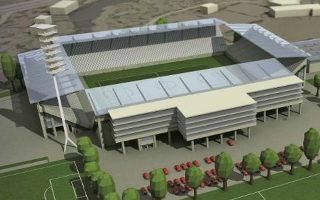 Meanwhile construction still halted on the stand NTFC got in debt for. 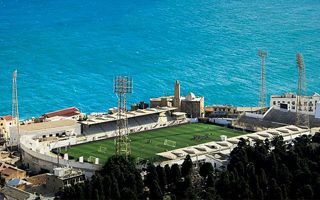 It’s only our second portion of stadiums from Algeria. While new ones are already under construction, it’s the ones with more history now. 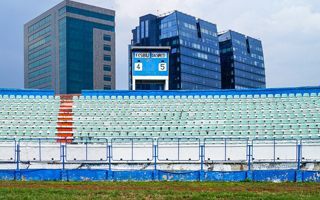 Estonian national team sell out against all “big names”, which is why the national stadium will gain 50% in terms of capacity. 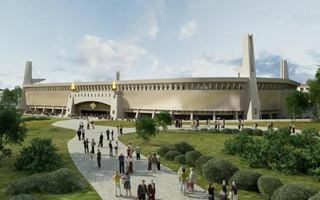 The government has secured €5 million for the project. When you publicly accuse someone of being partly culpable for the deaths of 1,200 people, how can you limit your apology to “we’re happy to accept there is no evidence of deaths” a few hours later?! 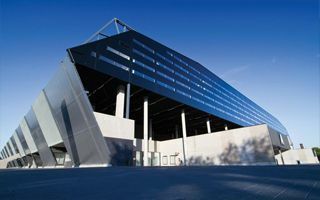 The council debated almost until midnight and eventually massively supported the construction of new football-specific stadium for Carl Zeiss. Groundbreaking set for 2017. 24.09.2015 Salzburg: Red Bull hits Austria yet again? 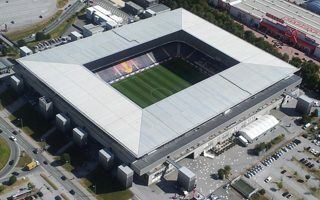 Red Bull Salzburg denied SV Austria access to “their” stadium, arguing it might challenge the field’s quality. Yet last season Red Bull welcomed 10 matches of other teams without problems. 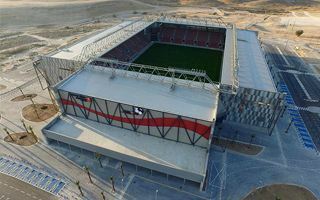 Just like almost every year recently, one more new stadium joins the Israeli football league, this time in Be’er Sheva. But is it more English or Dutch in terms of style? 21.09.2015 Scotland: Is this the most amusing stadium name? Apparently they’re serious about the partnership. 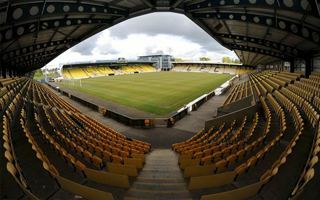 Since Saturday the home of Livingston FC is called Tony Macaroni Arena. A name to be proud of? Not necessarily, but one that went viral. 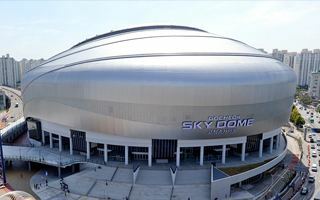 South Korea’s first domed ballpark is awesome in aesthetic terms. It’s also a soaring problem economically as cost inflated to over 500% of the initial budget. 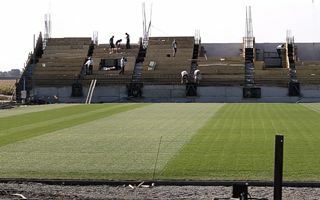 AEK Athens are still unsure of their new stadium being built. 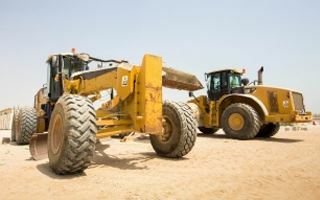 The delayed project is now 45 days more behind as ministers agree to prolong deliberations. 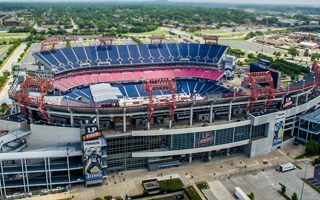 Fans will soon have new seats to enjoy while cheering on the Tennessee Titans. 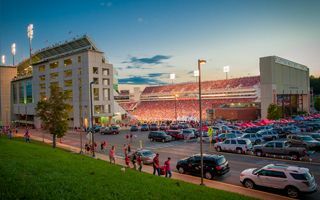 A $15 million project will enhance Nissan Stadium’s infrastructure. 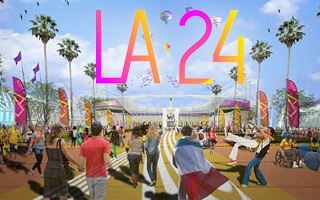 No last-minute surprise in the race to host 2024 Olympics. Only the well-established bids we already know were submitted to the IOC. Budapest, Hamburg, Los Angeles, Paris and Rome are in. 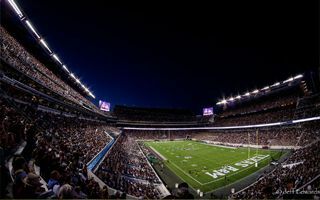 Last weekend saw the very first events after Kyle Field’s biggest redevelopment to date. 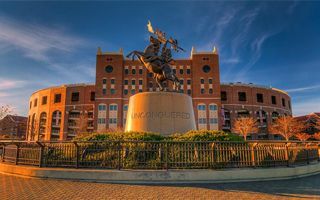 The $485 million project isn’t over just yet, but the stadium is already breathtaking. 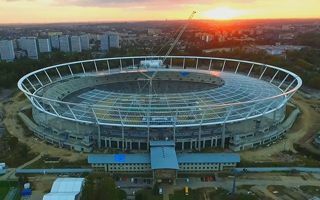 Looking at the progress at Stadion Śląski one may breath with relief that the “Cauldron of witches” is finally getting closer to reopening. Roof structure is hovering over nearly all stands. 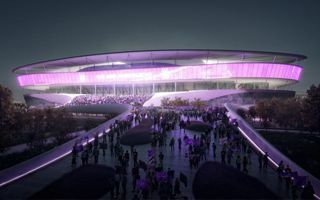 It’s a rare case to see groundbreaking before actually knowing what the stadium will look like. But then it’s also a unique project in global scale. 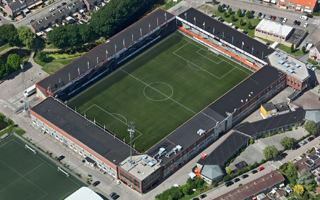 After many larger ones, now Stadion Niederrhein in Oberhausen will lose one of its “kurves” to bring fans closer to the action. 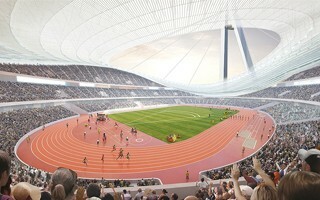 No running track to remain. Will this be for good? 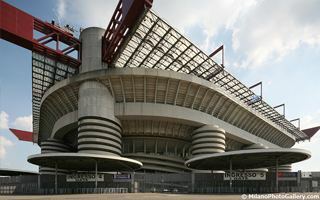 There’s no certainty with Silvio Berlusconi, but owner of AC Milan announced his club will stay at San Siro instead of pursuing a new stadium scheme. 15.09.2015 Frankfurt: Eintracht want 18,000 standing places! 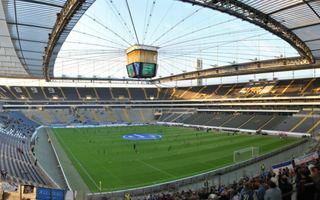 Commerzbank Arena in Frankfurt may soon grow from 51,500 to 65,000 thanks to conversion of further seats into standing room. The plan was welcomed warmly, but depends on city’s stance. 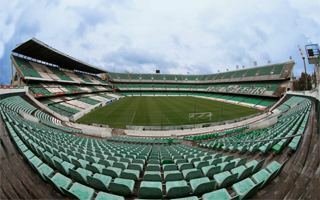 Yesterday Real Betis confirmed the successful campaign to pay off creditors. 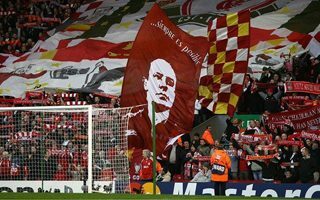 After over four years the club again own their beloved home and may invest in its modernisation. 14.09.2015 Kazan: Rubin to return to Arena this year? 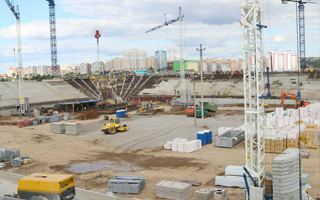 One of Russia’s leading football clubs announced they will try to return to Kazan Arena by year end. Their hopes depend on state of the field, which was occupied by swimming pools for many weeks. These aren’t all projects planned or ongoing in Finland, but they clearly represent the major shift Finnish football will be going through in upcoming years. 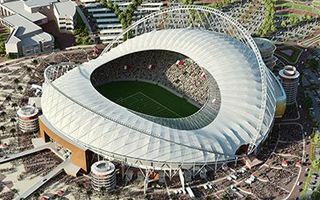 Meet three latest designs at StadiumDB! After numerous delays it’s finally ongoing now. 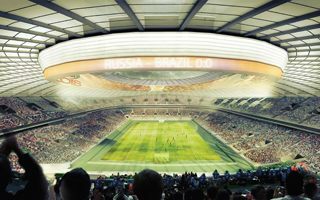 Grounbreaking in Kaliningrad took place on Friday and now the World Cup’s least impressive stadium should begin to grow. 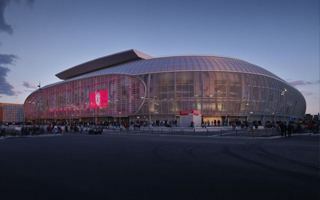 Yesterday’s game between France and Turkey drew over 26,000 people to Stade Pierre Mauroy. 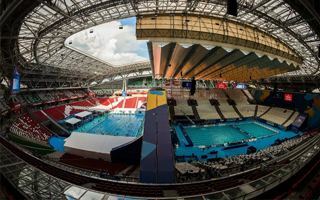 The innovative French venue saw half of its stand converted into an indoor arena. 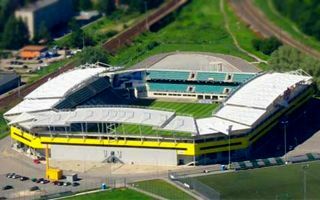 Three stadia from western Colombia have joined StadiumDB. 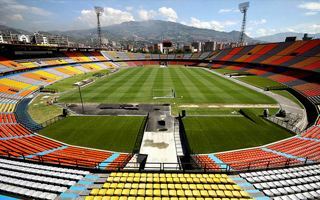 Let’s visit Medellin, Pereira and Manizales, where the stadiums aren’t new, but very decent after recent renovations. 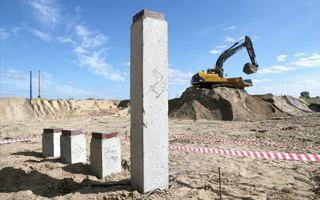 Half of the monolithic concrete structure is ready in Saransk. 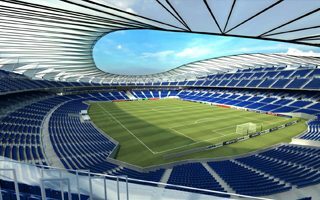 The World Cup stadium with highest percentage of temporary seats will soon see first steel elements installed. 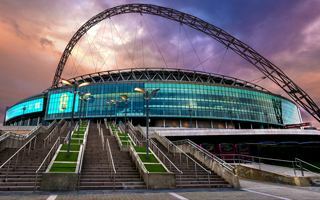 Two major clubs are seeking for their temporary homes and it might be Wembley for one or even both of them. 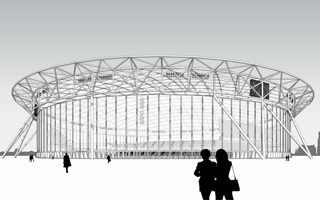 The FA is open to get another key tenant at the 90,000-capacity venue. 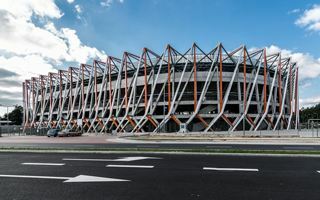 Court ruling requires former contractor to pay immense damages for his role in inflating the price of Białystok Municipal Stadium. 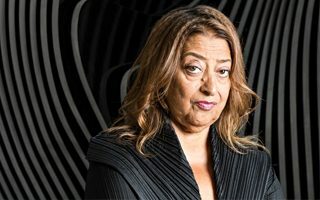 After long trial the city gets a 101-million return. 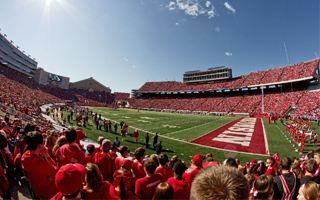 10 out of 14 Big Ten stadiums are already available at StadiumDB. Some of the world’s greatest stadiums joined us from Nebraska, Wisconsin and Iowa. 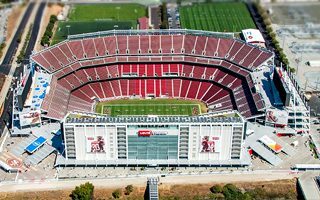 Almost 240,000 capacity together! 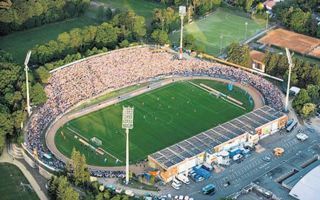 Only one of them is a Bundesliga stadium, but it’s neither the biggest nor the most modern one. 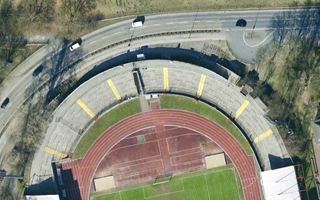 Please welcome three latest German additions to StadiumDB. 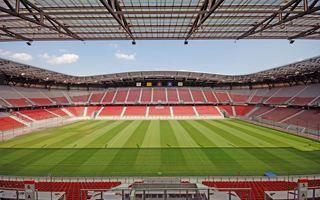 Just like it was with Müngersdorfer Stadion before, now Cologne’s another multi-use stadium is awaiting a complete makeover into football-only. This time for growing Fortuna. 09.09.2015 London: Last obstacle ahead of Brentford FC? 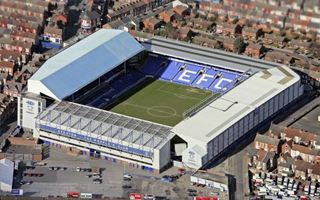 They’re just one plot away from securing the new stadium. 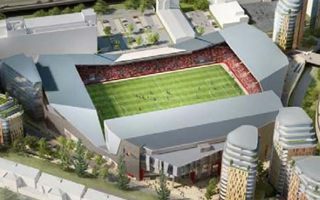 But owners of that plot seem determined to block Brentford FC’s project. Public inquiry into this case began on Tuesday. 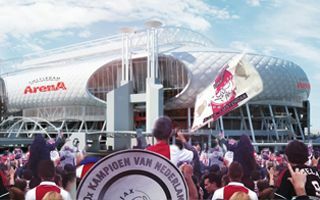 Dutch architects and engineers came up with a new approach to designing stadiums. Much cheaper than the traditional one and more flexible in legacy use. Will we see it happen? “Small profit is better than none” seems to be the attitude of London Legacy Development Corporation. The public entity will have just £200,000 left after expenses next year. 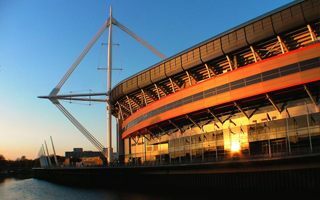 For at least a decade the greatest stadium in Wales will be named Principality Stadium, along with latest naming rights deal. 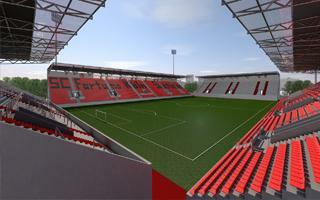 From today onwards you may follow the build in Erfurt via StadiumDB.com. One stand is rising, two more to come soon as the city is erecting its own multifunction arena. 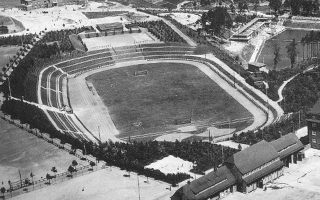 One of Spain’s most recognizable stadiums has been waiting for reconstruction for too long. A group of fans offer a new, economically-feasible revamp plan. 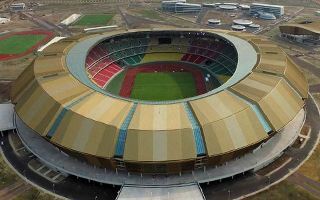 50 years after the very first All-Africa Games started in Brazzaville, the city again hosts Africa’s best sportsmen. This time in the state-of-the-art Kintele Sports Complex! Insurance giant will have its name exposed throughout the Euro 2016 stadium for 10 years. 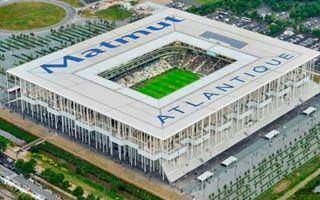 From now the official name of new Bordeaux stadium is Matmut Atlantique. 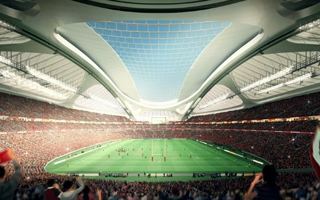 Qatar may have been a controversial host selection, but it seems one of the safest to deliver all projects in time. First stadium will be ready by the end of 2016. 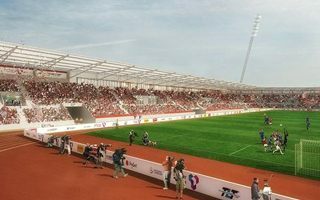 What’s been settled about the planned 50,000-capacity stadium at Walton Hall? Mayor Joe Anderson promises a major update for the public in October. 01.09.2015 London: Finally we can see Chelsea’s new stadium! Officially this realistic model will be presented on Wednesday, but we’re not going to wait. 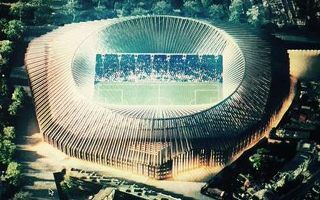 Renderings and photos have already leaked as Chelsea fans cannot wait to see the planned stadium. 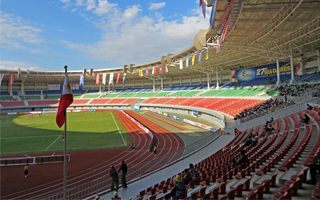 01.09.2015 New stadium: Have you met the Burmese triplets? We’ve just added the third triplet from Myanmar. Why triplet? Because there are three nearly identical stadiums built one year and only 240km apart from one-another.